This summer has been challenging in caring for Tehilla. Israeli summers are intensely hot to begin with, but we've had a few heat waves here, that have brought temperatures way up. For Tehilla, it is difficult for her to properly regulate her body temperature. So if she is a little overheated, she begins to soak herself in sweat. It is extremely easy for kids like Tehilla to dehydrate and it can become dangerous very quickly. So, this summer has been spent indoors and going from air conditioning to air conditioning. 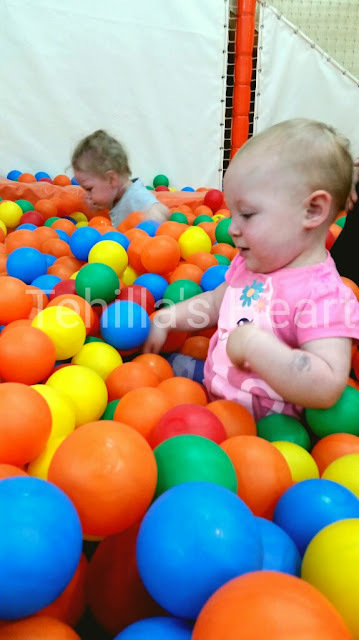 Today, we went to an indoor gymboree for a few hours. 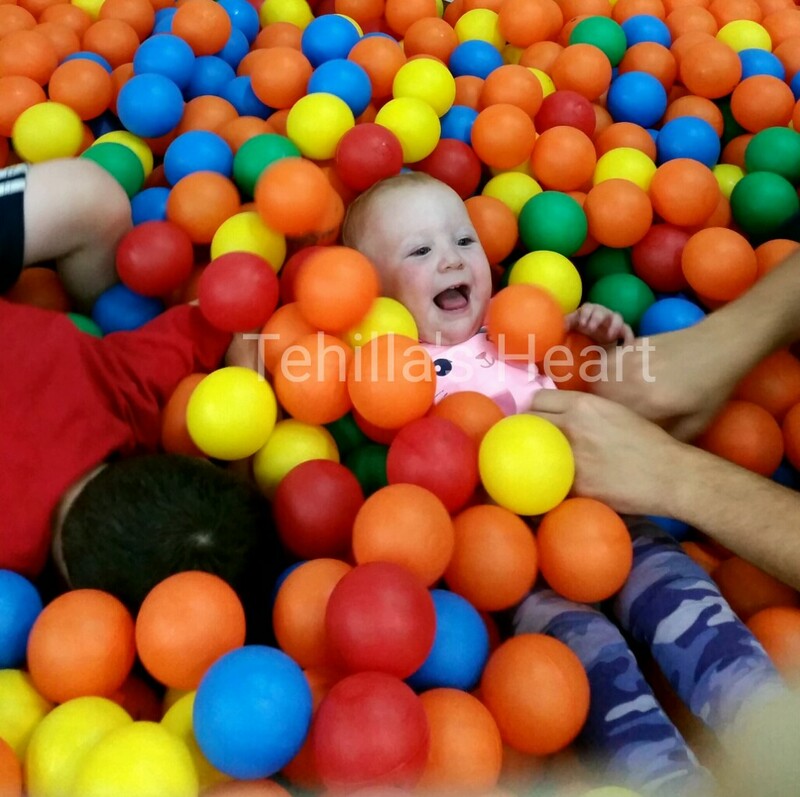 Tehilla had a blast running around, climbing on the climbing toys and trying to collect all the run away balls from the ball pit. Ultimately, she would fill her little arms and then all the balls would spill out. She said, "Uh-oh!" And then would go around trying to collect them again. We finally put her into the ball pit. She was so excited! She kept belly flopping into the balls and lying back. She has really become fearless and had a blast today. Additionally, she has started babble singing to herself. Often, she will be playing with her toys and we hear this cute little high pitch voice singing in babble. Whenever she notices us or we say anything she stops singing and screams, "No!" I will try to capture a video of her singing. Great to hear the update. The reason she tells you all "No" when you all catch her singing. That is the Melody of her heart. She is singing to G-d. Please do not record it and put it online. It is private.